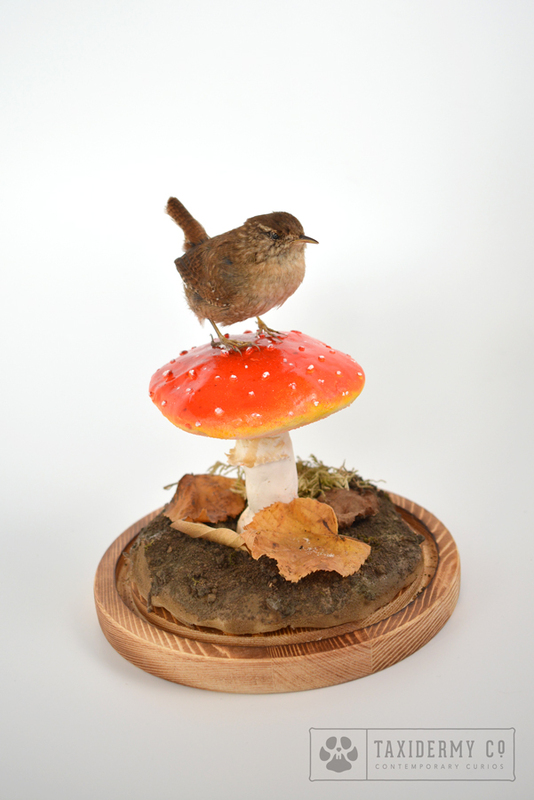 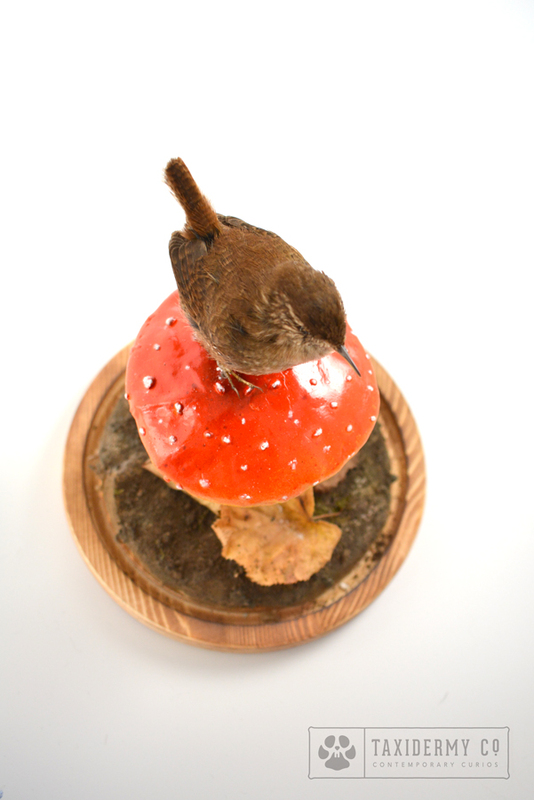 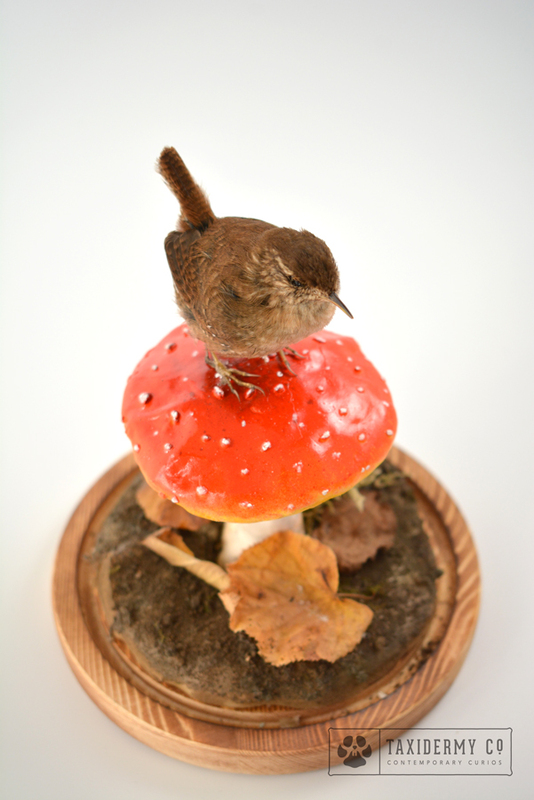 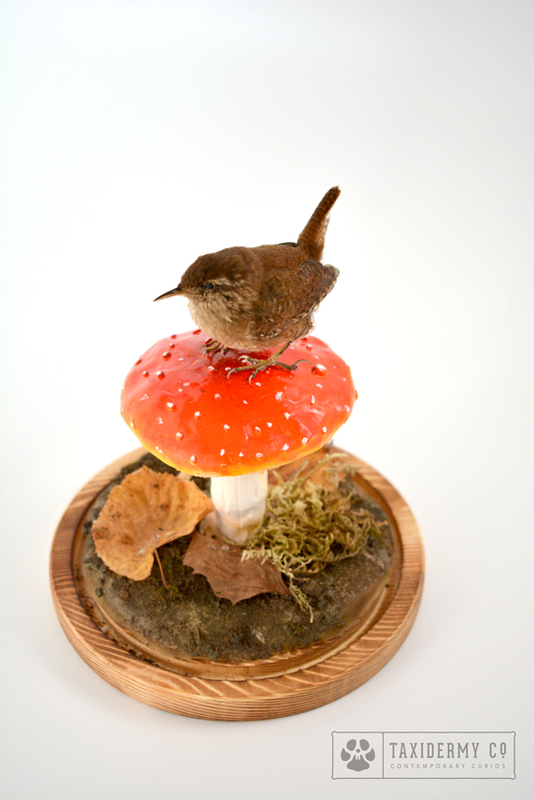 I recently completed the little Wren (Troglodytes troglodytes) I have been working on recently. 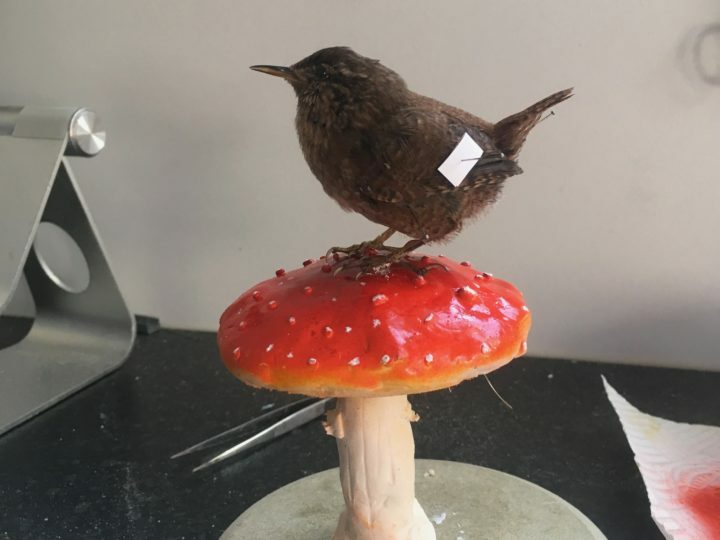 I experimented with crafting a Fly agaric toadstool out of epoxy clay for him to sit on, I am so happy with the end result! 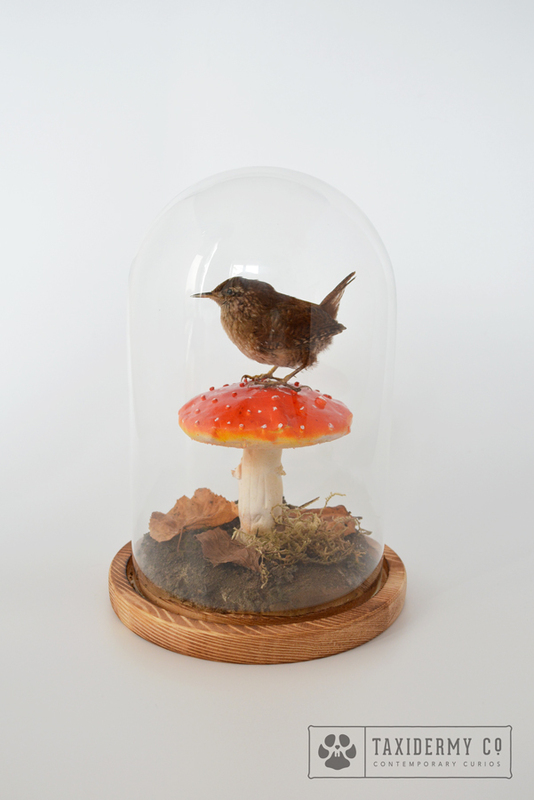 The glass dome completes the piece and is now sitting pride of place in my nan’s dining room. 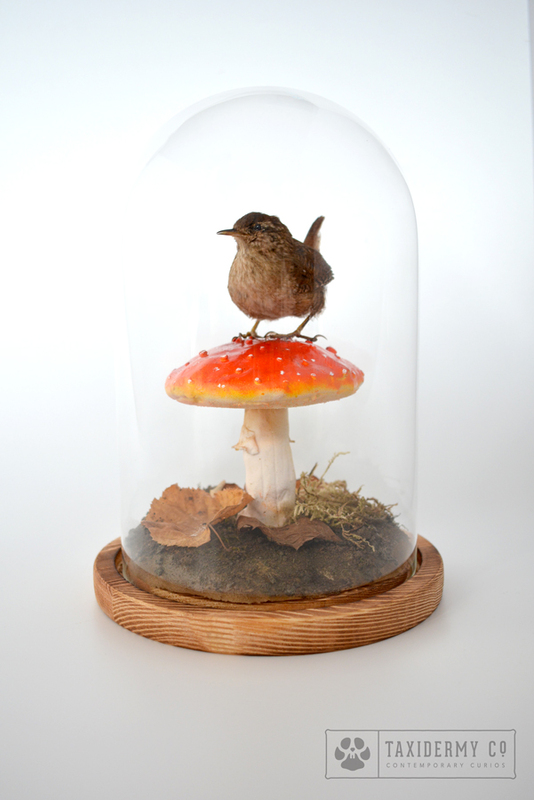 She bought it from me before it had the chance to go on sale as she adored it so much! 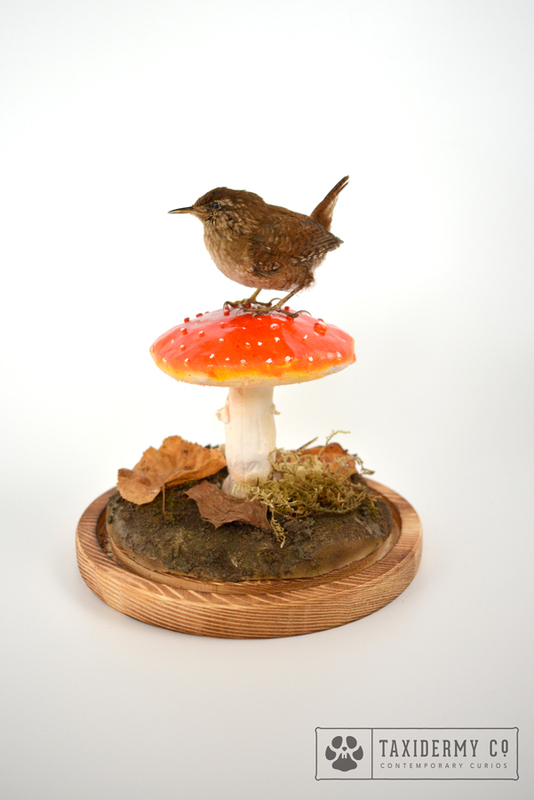 I hope you like the finished piece, I will be experimenting with more fungi in the near future. 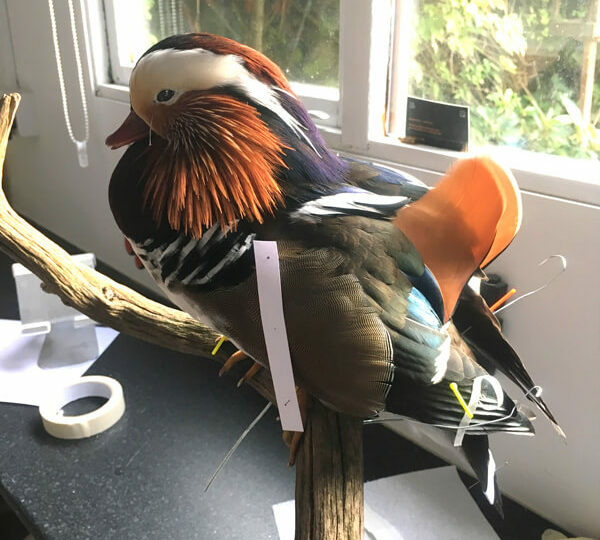 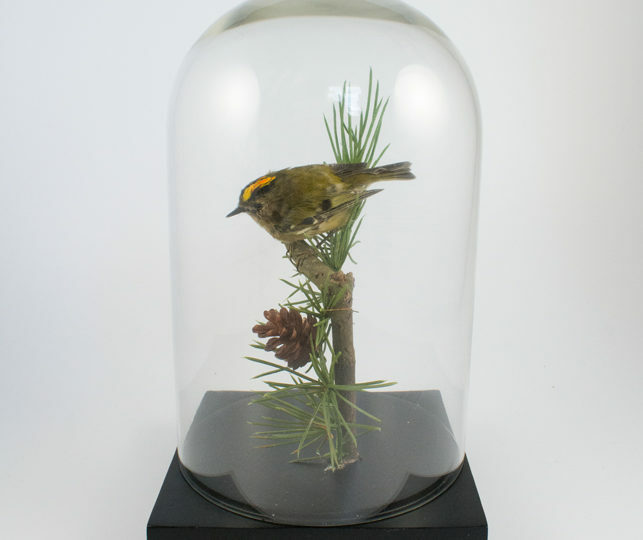 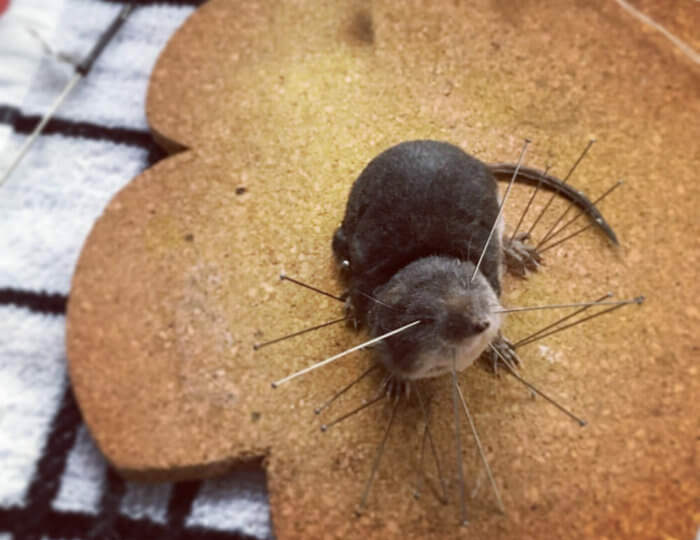 Taxidermy Goldcrest – The smallest bird!